and affection across our vast land. And with the quickest way to the dog’s heart often running through the pooch’s stomach, companies like the Aurora, Ont.-based Buddy’s Kitchen play a big part in enabling Canadian dog-owners and their beloved canines to forge everlasting bonds of genuine friendship and priceless companionship. Founded in 2011, the family-owned company is a fast-growing manufacturer of all-natural, premium-quality private-label pet snacks and treats produced for some of the leading retailers and pet-food brands all over the world. The 38,000-square-foot production facility in Aurora, Ont., employs 30 full-time staff working on a one-shift, five-days-a-week schedule throughout most of the year to produce all-natural pet snacks for the company’s many private-label customers. The company’s products can be found in most channels where Canadians buy their pet food—from pet product specialists Global Pet Foods and PetValu to mainstream grocery chains like Walmart and Loblaws—along with various veterinarian channels. Billing itself as an innovation hub for high-quality and nutritious pet food products, the company’s growth to date can be conservatively described as exceptionally fast-paced. nearby, which was further expanded in March 2018 to accommodate the operation’s growing business. to be a very happy and caring dog-owner himself. most of the year, occasionally adding a second shift to cope with seasonal demand upticks during the cottage and holiday seasons. “A pet is truly a member of your family,” Barbieri proclaims. “Mom and dad, the pet parents, when they’re buying products they’re looking at the labels closely—they want to know what’s inside this bag. 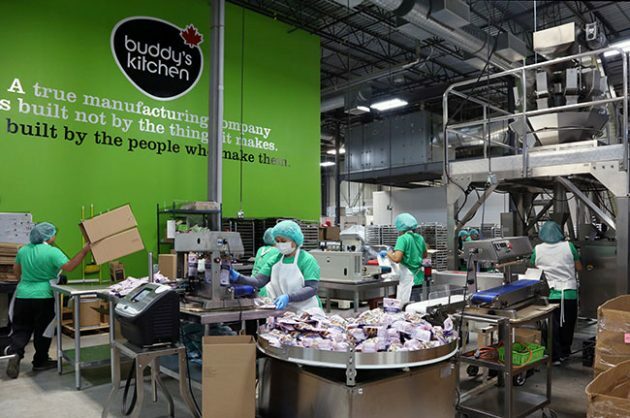 While the Canadian market accounts for the largest portion of the company’s output, Buddy’s Kitchen has also managed to cultivate a growing customer base in the U.S—its biggest export market—as well as Australia and, most recently, Japan, while also obtaining all the required certifications for exporting to the European Union (EU) countries. Stewardship Council) accreditation for its sustainable procurement practices. “If you’re going to be serious about offering a true healthy product, you have to have the letters behind you,” Barbieri asserts. As a proud and knowledgeable dog owner who is well aware of the domesticated dogs’ relatively short life-span, Barbieri says he has great empathy for other dog-owners trying the extend their pets’ lives through better eating habits and a lifestyle that can help overcome or prevent the onset of cancer, diabetes, obesity and other afflictions. 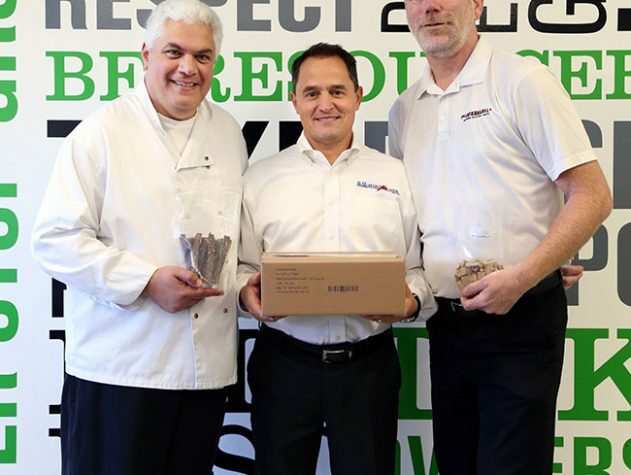 That’s why Buddy’s Kitchen focuses exclusively on making all-natural products, Barbieri says, noting that about 85 per cent of the company’s raw ingredients—including buckwheat and barley—are locally-sourced from farmers and processors in the surrounding York Region. Barbieri says the requirement for transparency in ingredients and product labeling is of paramount importance to Buddy’s Kitchen and the new generation of Canadian pet-owners. “Today’s millennials want to see things for themselves—they don’t want to be told things,” Barbieri states. “So we have to be transparent. “We don’t just make a mix, push a button, and expect perfect treats to come out the end,” he states. “I don’t know how to do that, I won’t do that,” says Barbieri, noting that all of the plant’s employees are trained to use all their senses in assessing the quality of the product being made at any particular time. “We like to touch, feel and smell the product that we’re producing,” he states. 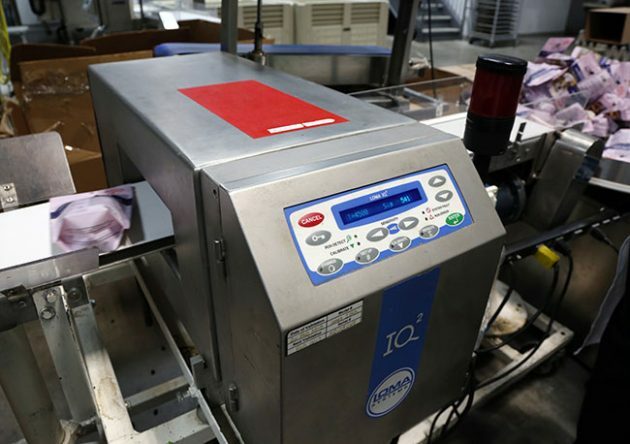 To ensure optimal food safety compliance for its products, the Buddy’s Kitchen plant uses a model IQ2 metal detector from Loma Systems to ensure reliable detection of tiny metal contaminants that may have sneaked inside the finished packages. This hands-on approach goes beyond making the treat. As Barbieri relates, many of the company’s clients pay regular visits to the facility to brainstorm ideas and discuss what they are looking for in a product, with Barbieri and his staff often providing useful advice on marketing the product and industry intelligence. 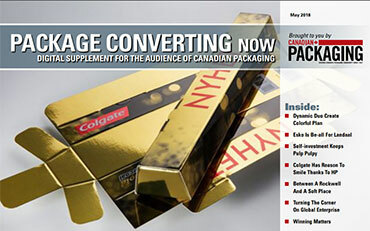 “We listen to our clients and we develop the brand story with our clients,” Barbieri says. “We really and truly look at our customers as partners,” Barbieri points out. While the pet food industry is dominated by big players such as Nestlé Purina, Smucker’s and General Foods, with vastly bigger resources and deeper pockets, Barbieri insists that there is plenty of room in the market for smaller players like Buddy’s Kitchen, who are agile enough to leverage speed-to-market as an important competitive advantage. 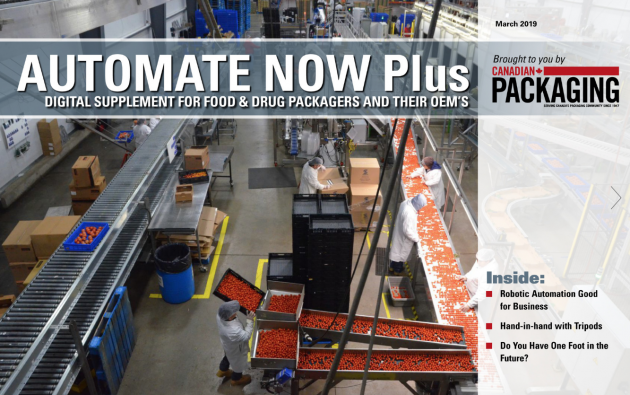 “We have to go up against all the big boys in town,” he remarks, “but as a private-label manufacturer, we can support the marketing companies that we work with. “Buddy’s Kitchen is an innovation hub; we’re just not a co-packer,” he says. “The world doesn’t need another dog treat. Barbieri says the company employs a similar mindset when sourcing its production and packaging machinery and supplies. The same philosophy applies to the equipment that they outsource—stressing the importance of local service support. “Service is probably the most important part of the entire deal,” Barbieri states. The Buddy’s Kitchen plant houses a total of four production lines—equipped with extruders, wire cutters, and meat saws—while using an assortment of automatic filling machines and vertical form-fill-sealing (VFFS) machinery to package the finished product into resealable pouches. systems produced by Squid Ink Manufacturing, Inc. of Minneapolis, Minn.
As Barbieri recalls, he was quickly sold on installing Squid Ink technology to take care of his plant’s product traceability requirements soon after being introduced to the company and completing a successful test run of Squid Ink’s CoPilot 500 hi-resolution printing system. Designed for user-friendly operation, the CoPilot 500 high-resolution printing system from Squid Ink features an icon-driven color touchscreen interface for intuitive selection of all the right commands to generate proper text and barcodes on all shipping cases. 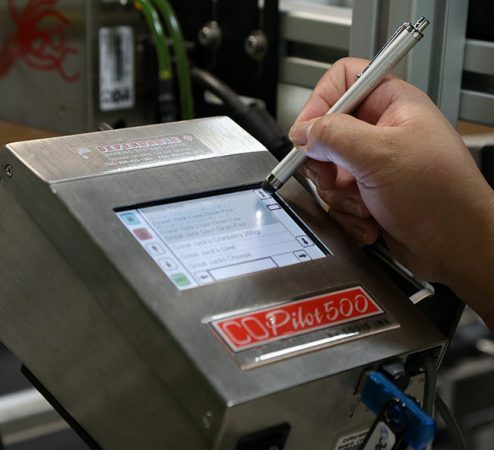 Developed to replace manual application of pressure-sensitive labels to corrugated shipping containers, the CoPilot 500 prints all the required product information and codes directly onto the corrugated boxes—significantly speeding up the whole process. 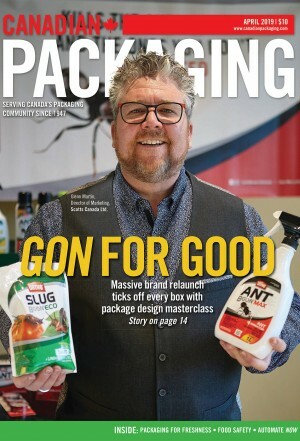 “With our CoPilot 500 printing system, customers can print reliable codes right onto their boxes,” says Jay Sinclair, Squid Ink’s director of sales for the eastern region. “Our customers typically have multiple SKUs (stock-keeping units) to deal with, so it’s very important for them to be able to change their coded messages quickly. Prior to implementing the CoPilot 500 system, Barbieri and his staff used to hand-stamp the labels by hand in what was a highly inefficient and time-consuming manual operation. 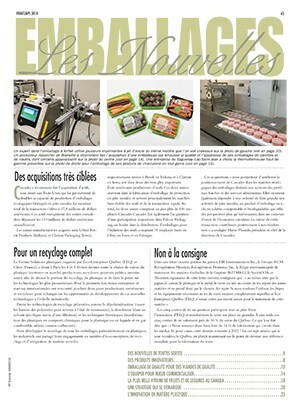 But since installing the CoPilot 500 printer into the plant’s end-of-line-packaging area about five months ago, all those concerns have been put to rest, according to Barbieri. “It has helped us to speed up our production process,” he extols, “and our retailer customers are appreciative of the clear legible product codes and all the versatility that we now have with our product coding and printing capabilities,” Barbieri extols. As Sinclair points out, the CoPilot 500 has an intuitive icon-driven color touchscreen interface, similar to those found on smartphones, to provide extremely user-friendly means for operators to input the required product information such as the month and the day of production, the best-before date and the product codes, with full control of the barcode quality. Buddy’s Kitchen and their customers require barcoding and product traceability in their manufacturing process. 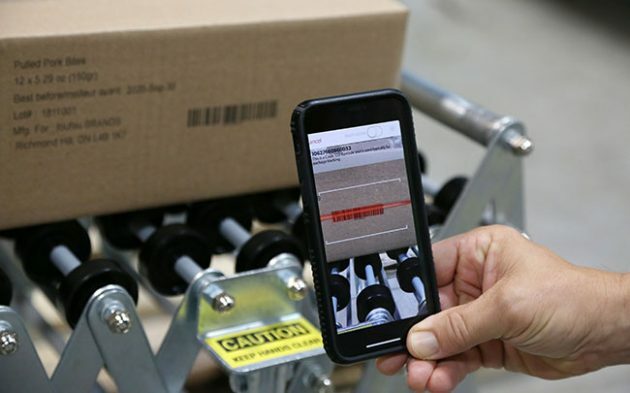 Here, a line operator uses a smartphone to verify the accuracy of the barcodes printed by Squid Ink’s CoPilot 500 high resolution printing system. Says Sinclair: “The beauty about barcoding with high-res printing is we have full control over the bars: the width of the bars, the space in between the bars, and the height of the bars, so that we can manipulate the barcode to get good readability,” says Sinclair. “If we don’t get a good read, we go back and we manipulate the barcode until we do get a good read. 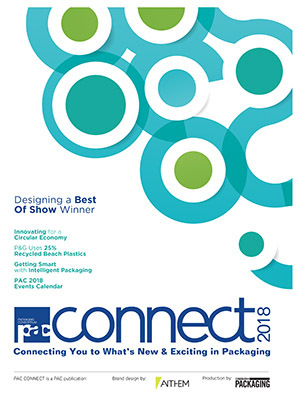 “Product coding requirements are always changing,” Sinclair notes, “and barcoding and traceability are going to become even more important in the years to come. “And you can be sure that we will evolve with whatever the marketplace throws our way,” Sinclair states. It’s a similar growth-oriented narrative for Buddy’s Kitchen, with Barbieri clearly enthused by his company’s promising potential to achieve even higher levels of growth in the future. “Operating in Aurora puts us right in the middle of the highway accessibility, a great labor force pool, and generally a great community to be a part of,” Barbieri explains.